Sometimes I get stuck in a grey matter groove, like desperately wanting to hear Akron/Family’s self-titled album or playing Liszt’s Derniére Illusion—his symphonic poems interpreted by Leslie Howard, ad nauseum. So it was with Sherry, tucked deep in the folds of my mind, the idea of tasting more of it had been festering. Sherry was a regular fixture of Dutch life (The Netherlands is one of the largest importers of the fortified wine in all the world), occupying the table of my family members in Holland and being consumed midday as an aperitif. I was formally introduced to Sherry—a fortified white wine—in my courses last year and it was a surprising experience like thumbing through discounted records and stumbling upon a Quincy Jones vinyl with minimal wear. The nutty and rich flavors were really compelling; they were wines that stayed long on the palate and lingered on the brain. I purchased two bottles of Sherry from my favorite wine shop in Southern California—Hi-Time Wine Cellars—to assuage my cravings. 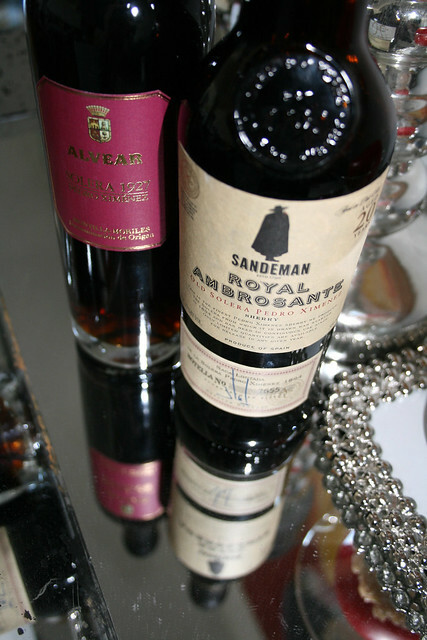 The first was a 500ml (750ml is standard format) bottle of Sandeman Royal Ambrosanate made from the Pedro Ximénez grape and blended in the solera method, where wines are combined from barrels of various vintages going deep into history, to perfect the final blend. And the second was a split (375ml) by Alvear Solera 1927, exclusively made of Pedro Ximénez. Each bottle was non-vintage but aged considerably. Sherry hails from the Southwest of Spain, in and around the city of Jerez de la Frontera all within the Autonomous Community of Andalucía. Sherry is restricted to three different grapes: Pedro Ximénez, Palomino and Muscat of Alexandria. Three main styles of Sherry exist: Fino, Oloroso and Palo Cortado, each exhibiting salient features. Of the three main styles there are derivatives that appear on the bottle like Amontillado or Manzanilla, each possessing it’s own characteristics and designating weight on the tongue. While catching up on some television programming via Hulu I decided it was the right time to pop the bottle of Sandeman Royal Ambrosante (#485). The contents poured out slowly, filling my glass with a dark espresso like liquid. 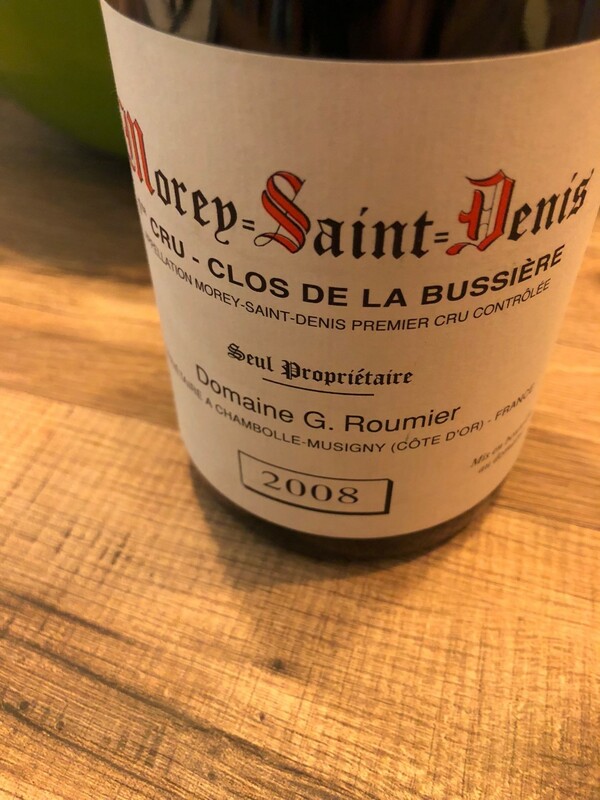 The powerful nose smelled of raisins and toasted nuts, and on the palate the viscosity was staggering. The wine was rich and sweet-as-could be. A little glass packed a punch, and I was ready to cap it for the evening. I look forward to revisiting the wine in the coming weeks. As for the Alvear, I will be saving that the next time I am hankering Sherry because a little goes a long way.